A fifth Thief videogame title might just be in the works. 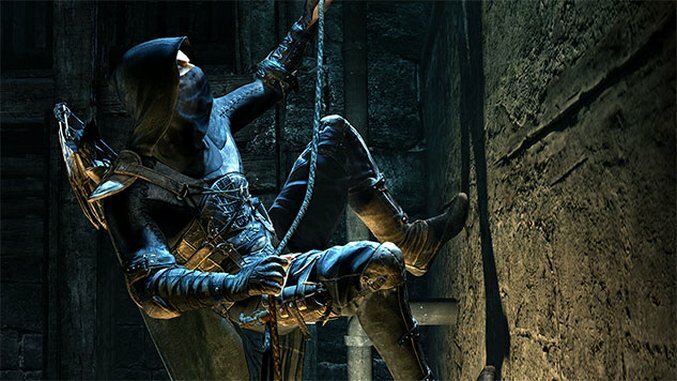 Straight Up Films, the studio behind the Thief film adaptation, suggests that there might be another game releasing alongside the film. Thief is a steampunk-esque stealth videogame franchise originally released in 1998 as Thief: The Dark Project by Looking Glass Studios. Its sequel, Thief II: The Metal Age, launched in 2000—Looking Glass Studios went out of business shortly after, and many of its employees moved onto Ion Storm Austin to develop Thief: Deadly Shadows, which launched in 2004. Fast-forward 10 years later, and Eidos Montreal has rights to the IP and releases the reboot title Thief in 2014. While praised for its immersive stealth gameplay and replay value, it was criticized for its story and level design. In March 2016, Straight Up Films received the film rights to the franchise—and their website reveals more about the “multi-platform” future of Thief. It’s not clear what story the potential title and forthcoming film will follow, but it looks to be returning to the Gothic-meets-Victorian-meets-steampunk world of “The City” with series protagonist Garrett. As of now, Eidos Interactive and Square Enix have not confirmed the development of the new iteration. The film’s release date has yet to be announced, as well.